Now that everyone has returned to their sad, pathetic lives that Lebron reminded us of last night, remember how this all started: At an Air Force base. 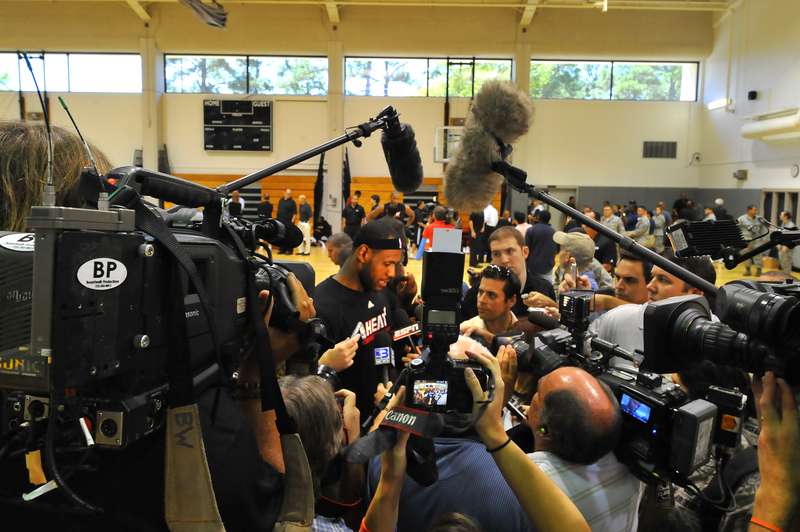 It seems like five years ago, not last September, but who can forget the throngs of media invading the Air Force Special Operation Command’s quaint gym when the Miami Heat chose to have their training camp at Hurlburt Field, Fla.? Before Lebron James became the first player in Finals history ever ridiculed for tallying a triple-double, James got to work on his post-up game at Aderholt Fitness Center. Wait, he must have missed those drills at Aderholt after he consistently shot jumpers with the ageless — yet considerably shorter — Jason Kidd guarding him. The only question now is if AFSOC should shoulder any of the blame for a team with two of the best five players on the planet losing to a Dallas team with a 38-year-old point guard and 7-foot German suffering through a cold? Anyone else find it peculiar that the Maverick who torched the Heat on Sunday night and put the final nail in the Heat’s coffin is nicknamed the Jet and mimics a 747 every time he hits a big shot? Maybe this causes Pat Riley to rethink his decision to start next season at Hurlburt. Although a military base might not be a bad idea considering the level of vitriol directed at Lebron, Wade and the rest of the Heat. Having an armed guard at the gate might be a necessary measure. The Heat fans certainly won’t protect the King. They’re too busy not caring or selling their tickets to Maverick fans.